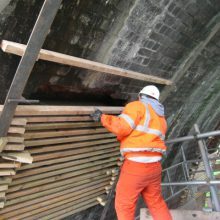 Specialist UK Restorations Ltd (SUKR) are experts in the design and installation of structural repair and strengthening systems, which are used in refurbishment works for many different reasons. These frequently include masonry which has cracked as a result of ground or structural movement, plus increased loading or other stresses, such as excess thermal expansion. 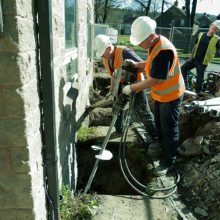 Systems are also installed to stabilise bowed masonry walls and replace corroded cavity wall ties. SUKR consider that cracked masonry is best stabilised, by bonding Helifix branded quality stainless steel bars into correctly positioned and sized, raked out joints or cut slots. The tensile load is therefore redistributed along the masonry to minimise any further development of the cracks. Substructure and superstructure strengthening can also be carried out with the Helifix Helibeam strengthening system to restore full structural integrity and mitigate the need for expensive underpinning. 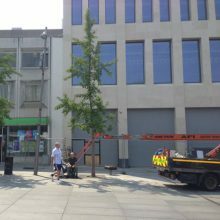 With SUKR you can achieve quick, simple, effective and permanent structural repairs, which are non-obtrusive for all types of buildings and civil engineering structures. Full structural integrity and load bearing functions can be safely and securely restored with all common masonry building materials (i.e. concrete, brick, stone, render etc). Internal or Party walls which are separating from external elevations? 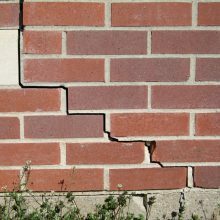 Cracked or bulging internal / external masonry? Failed lintels which have lost their load-bearing capabilities? Subsistence to the building Superstructure? Subsistence to the building Substructure? Movement of a pitched roof structure?